Howdy! It’s time for another edition of our patented Roundups! Why publish an update now, in the middle of the week? Well, a lot has happened in the last two weeks! 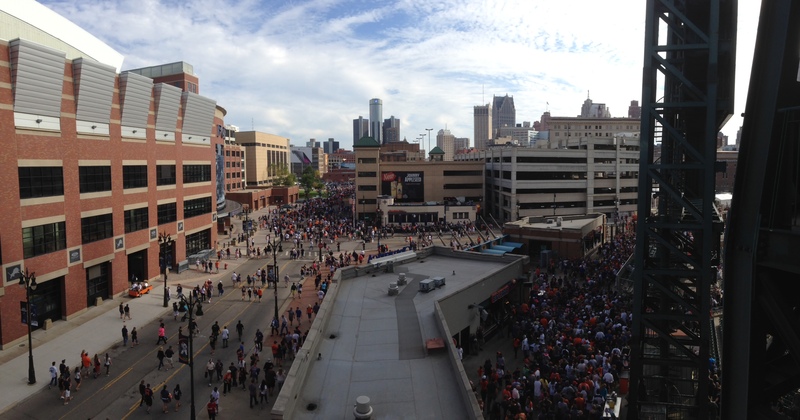 Fans exiting the stadium. That’s the Ren Cen in the skyline there. 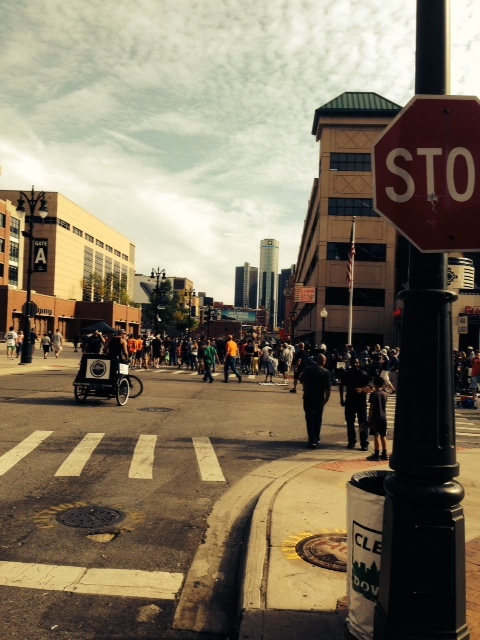 Folks ready to celebrate in downtown Detroit. Yep. 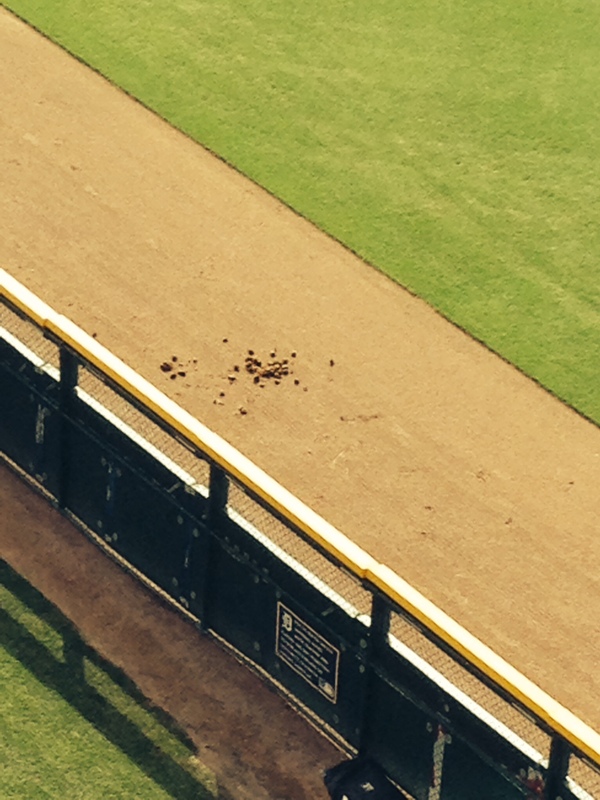 An explosion of horsecrap right on the outfield dirt. 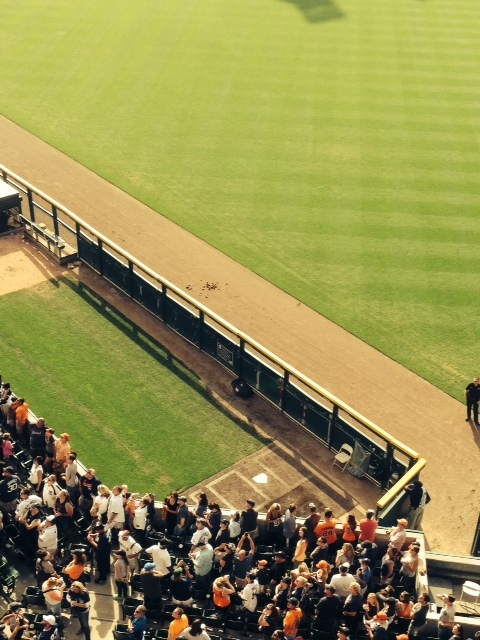 Now our Warning Track needs a Warning Track. –I bet the Twins felt crappy about losing. –The Tigers will start their playoff run today in Baltimore at 5:37! Yup! These are my Lions! –Still, after a 3-1 start, I have to be optimistic, right? I mean, it’s not like this team has a long, tortured and RECENT history of collapsing during the latter half of the season, right? 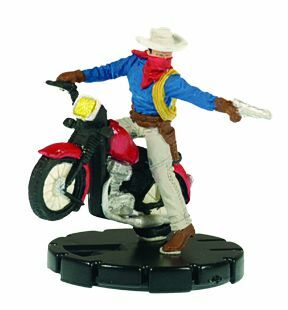 –Dial H for Heroclix is always new every week! Their latest episode included some spoilers for upcoming OP kits as well as a discussion of the second series of Yu-Gi-Oh! figures! –The Quarry has released Episode 27, which covers the end of the ROC’s first season!! –In somewhat sad news, Push to Regen has announced on Reddit that they have released their final episode. Their Facebook page is still up, and still posting the occasional news item, but the show has reached its final destination. –And, in tribute to Elton John and the Circle of Life (never thought I’d make an Elton John reference on this blog; I was, apparently, wrong), just as Push to Regen goes quietly into that dark night, ClixCast rises from the ashes after six months and publishes two new episodes! Welcome back, gentlemen. –Keep your GotG Nebula, Rocket Raccoon Movie Chase, Star-Lord Movie Starter piece, Movie Rare Groot, Movie Rare Yondu and Batroc handy–we have another Pirate to add to your force! It’s Pirate Deathstroke, and he’s… weird. But in a good way. His mid-dial “Take Their Vessel” Special Movement power has to be the weirdest justification EVER for granting the use of Mind Control, but he also has a great top dial Damage Special called “Steal More Than Your Gold” that allows him to basically steal a standard power from an opposing figure within 6 squares. The best part is, you’re preventing that character from “using” that power, not countering that power, so it gets around Power Cosmic or Quintessence or any powers that “can’t be countered.” I’d like a little more Range than 6, but for 112 Points, he’s certainly unique. 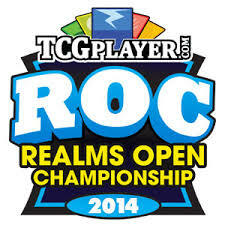 –Want to know what to expect when OP Rogue is up for grabs at your local venue? Click here to find out! –In case you missed it last time, we got some announcements about some upcoming sets!! We are getting an Avengers Assemble set with 25 never-before-Clix’d characters along with next year’s OP set: Age of Ultron!! 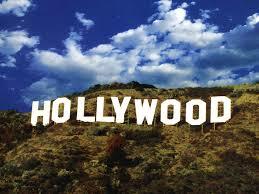 Oh, and we’re getting an Age of Ultron Movie Set as well. 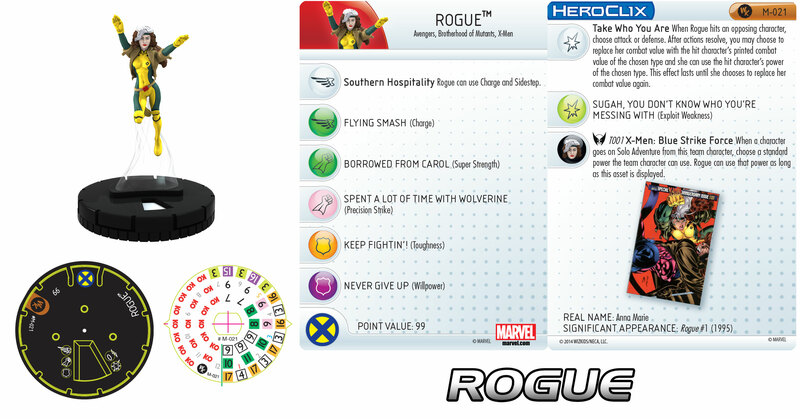 In addition, it appears that BOTH sets will use Avengers ID cards (randomly inserted in boosters?) that will work with the Avengers Roundtable Resource. How this will all play out, I don’t know. But what I do know is that somewhere along the way (probably but not definitely as the main prize from Age of Ultron) we will finally get… a Quinjet! Yep, Marvel’s finally getting a vehicle (at least one that didn’t start as a figure like Warlock)! No Army of the Week this week, as we’re devoting a little extra time to debuting another new feature–Upcoming Local Games–at the bottom of this very article. Army of the Week will return next time, though! –Gotham and Marvel’s Agents of S.H.I.E.L.D. have premiered! After two episodes apiece, they appear to be heading in opposite directions. This week, I’ll talk about Gotham. Next week, we’ll take a look at Marvel’s Agents of S.H.I.E.L.D.! –Okay, I know this is a comic-book-based show, but the premiere and ESPECIALLY the second episode were really over the top. Not a great start. 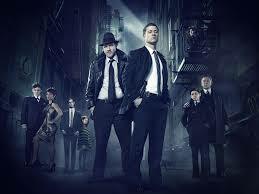 Ben McKenzie is fine as Jim Gordon, and I like his military backstory. But Donal Logue seems uncomfortable so far as Harvey Bullock (color me surprised–I would’ve thought he’d be brilliant), partially because every other scene has him spouting cartoonish exposition about how corrupt Gotham is and how Jim needs to get with the program. I think that’s what I dislike the most–Jim Gordon and Harvey Bullock seem like characters from two different shows. And the abysmally named Fish Mooney (Jada Pinkett Smith). the other character with the most screen time through episode 2, seems bizarrely misconceived. 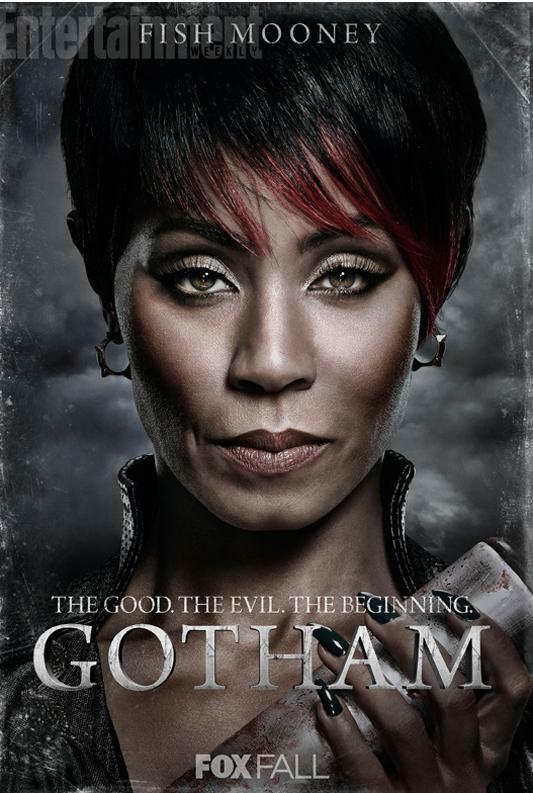 Why does Fish Mooney have a character banner like audiences already know who she is? And really, a tough as nails female gangster has no problem with folks calling her Fish?! The only other standout so far is the guy playing the Penguin as a young thug. He’s good, but since he’s rail-thin and dressed to the nines all the time, every time someone talks about how much he looks or walks like a penguin (which supposedly sets him off on a violent rage every time he hears it), you just wonder what the hell they’re talking about. The acting was really bad in episode 2, which featured indie movie vets Lili Taylor and Frank Whaley as a couple of creepy kidnappers. The roles were so poorly executed that neither actor ever seemed comfortable, and the whole thing devolved into a giant mess by the end. The show is also already having trouble connecting Bruce Wayne and Alfred Pennyworth to the weekly stories. This episode, Alfred caught Bruce burning his own hand with a candle flame, so of course he did the natural thing and went to see Jim Gordon, that detective Alfred has only met twice and who admittedly botched up the Wayne’s murder investigation. Well, of course that’s the guy he would turn to for parenting help. This is only Episode 2, so the fact that the creative team is already having these sorts of structural problems with the premise of the show doesn’t bode well for the future. Look, I love Batman and Catwoman, but it seems like things would go a lot smoother if Bruce, Alfred, Selina Kyle and the young girl from the pilot who may or may not turn into Poison Ivy were recurring characters who only showed up a few times a season, at most. Because, despite what the marketing campaign would have you believe, the show’s not actually about them! Based on what we saw in the pilot, Gotham is about a young detective named Jim Gordon, who happens to be the one honest cop in the city of Gotham, and his rise to prominence in the world’s most corrupt city. That’s it–that’s the logline of the show. Paring down the main cast to Jim Gordon, Harvey Bullock, their boss (I’m sorry, I can’t even remember her name), Jim’s fiance Barbara and whatever mobsters/villains you want them going after during the arc of the first season would free up a lot of constraints that are currently weighing down the show. Now, on the bright side, they did find a way to include Selina Kyle a little more directly (although, God help me, if she tells one more adult to call her “Cat,” I might throw something at my TV. She’s gonna be Catwoman in another decade—WE F–KING GET IT!! ), not just for this episode but for at least the next few. I haven’t watched much of Arrow, but from what I understand that enterprise started a little shaky too; now it’s become CAN’T-MISS TV!! for a lot of folks. Perhaps Gotham will get there; for now, it remains a flawed undertaking. Hello! 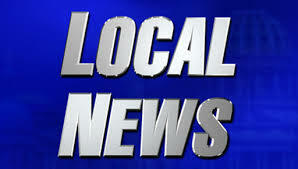 Welcome to the latest feature for the Weekly Update–Upcoming Local Events! This is the spot where we’ll post a few notices about upcoming games at venues in and around Southeastern Michigan, where Critical Missives is based. If any venue would like us to announce an upcoming event anywhere in the country, you can hit us up on Twitter or let us know via feedback to this very post! –Today @ 6pm, Big Ben’s Comix Oasis in Allen Park, MI will host some Free-For-All battles, 400 Points Modern Age–only single-based figures will be allowed. “Shock the Turtle” Battlefield conditions will be in effect. –Comic City in Pontiac, MI also has a Zombie Team Base going to the winner of tonight’s game! Looks like the Build is a massive 1550?! Wow–gonna be some carnage tonight! –Thursday night Clix is also happening at Comic City’s Canton location tonight! 300 Points, Modern Age. –Fun 4 All Comics & Games in Ypsilanti (tonight! ), The Amazing Book Store in Flint (Saturday the 4th), Warriors 3 Comics & Games in Wayne (Saturday the 4th), Comic Relief in Flint (Saturday the 4th) and Eternal Games in Warren (Sunday the 5th) are ALL running WoL Month 5 Events this week! –On Wednesday, October 15th @6:15pm, Comics & More in Madison Heights, MI will have some Zombie Team Bases from the GOTG OP kit up for grabs! The Build is 300 Points, and Colossals, Team Bases, Entities, Relics & Resources will ALL be allowed! –Our Top Ten Set Reviews for Guardians of the Galaxy have dropped! To read HypeFox’s take, click here! To check out Ninwashui’s rebuttal, go here! And that’s all for now! Whew! Long one this week. Keep an eye out for us this week! We’ll have a Local Tourney Report for WOL Month 4 coming soon, as well as an article devoted to Copycat and some of the issues she’s created!